13,59 € 13.59 tax incl. Cleaner high quality of contact, specially formulated to clean and degrease the spark plugs, switches, contacts, terminals, ... And other electrical components. 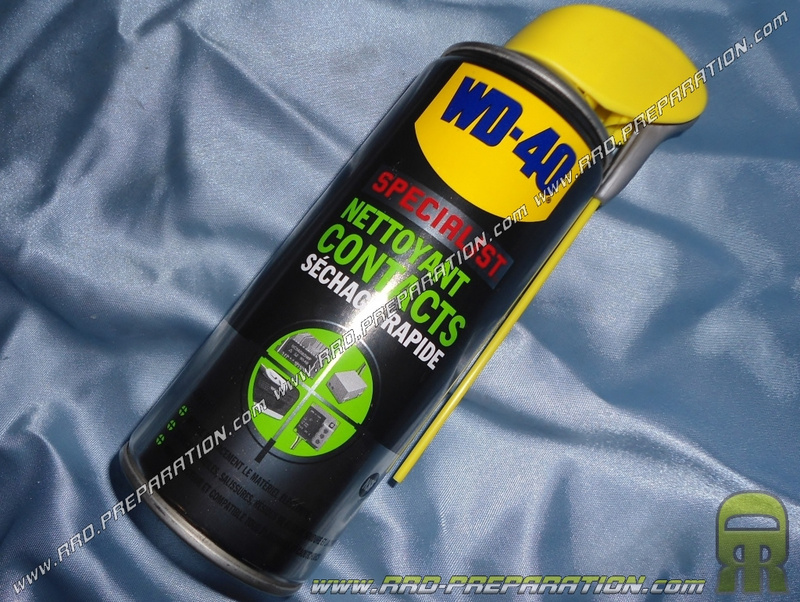 Contact cleaner contacts with WD40 is a powerful spray that guarantees complete cleaning of difficult elements of access or non-removable. This aerosol 400ml silicone guarantees you many applications with precision and mobility thanks to its dual position system and its integrated diffuser.